I came across two fun off the beaten path pictures of San Francisco to share with everyone now. San Francisco Chinatown is one of the largest Chinatowns outside of Asia as well as one of the oldest Chinatowns in North America. Of course, it is one of the top tourist attractions in San Francisco. Do you know? 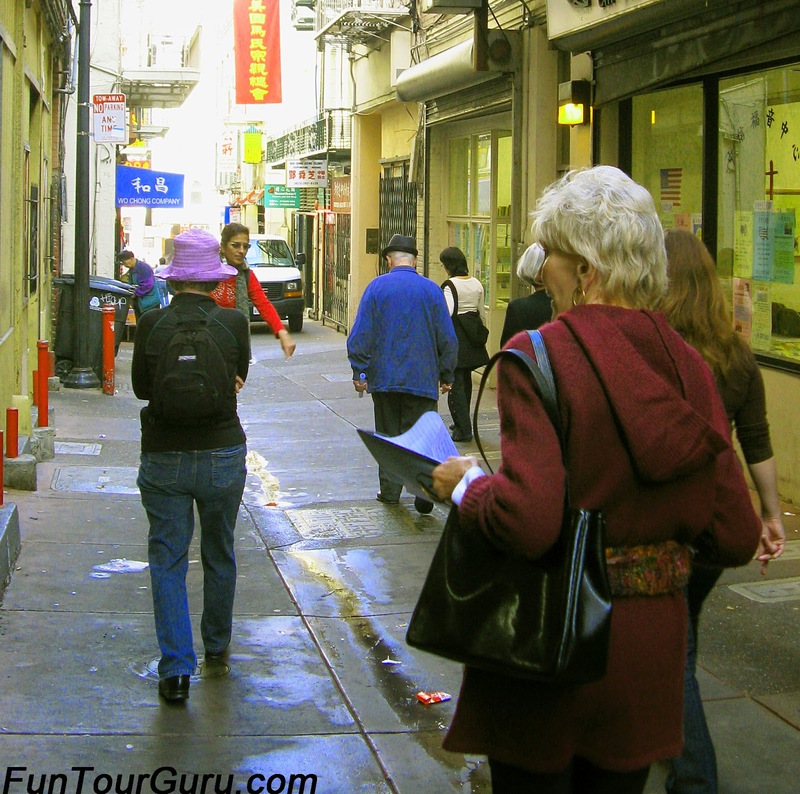 You should walk down the several small alleys located in Chinatown or ask a local San Francisco Guide to take you. Insiders Secret: My favorite back street is Ross Alley. Ross Alley is the oldest alley in San Francisco. It was known for brothels and gambling. Today, it is home to the Golden Gate Fortune Cookie factory and murals depicting the everyday life of the Chinese American community. 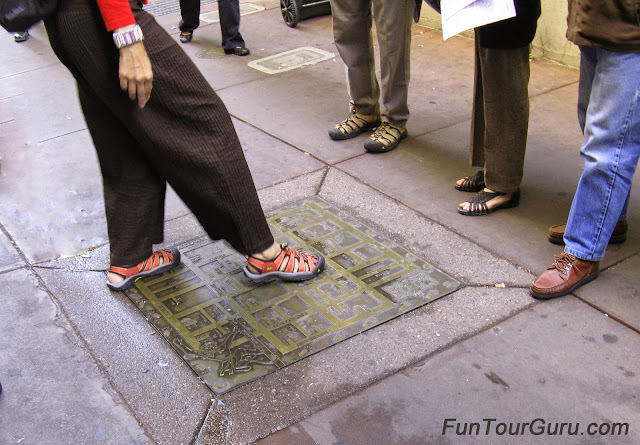 Look down at the sidewalk this time and you will find a walking tour map of Chinatown. And don't forget to buy a fortune cookie (or a dozen), from the store behind this group. The fortune cookie is a USA invention and started in San Francisco. 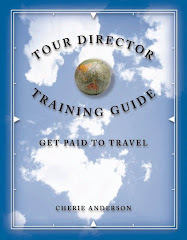 I make my own hotel reservation with Lighthouse Travel & Tours. Easy and it helps small businesses.